Ever since I saw Elizabeth Kartchner on Studio 5 about a week ago. She showed everyone how to create their own Corsage T-shirts. When I saw these type of tees at J-crew I thought they were so cute, but not $25-40.00 cute! But how fun would they be to make!!?? I found this Wardrobe Refashion blog entry, loved how she created this darling tee from a clearance Old Navy shirt and circles! For a great tutorial, check out Enchantresses 3 blog. 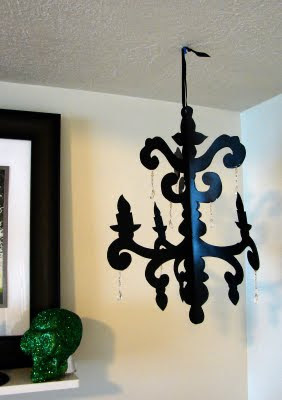 They walk you through step-by-step and hopefully make it a fun and easy project! 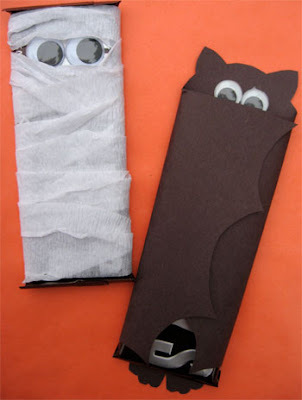 Still loving all the cute things I find around the web for Halloween, but this one topped my list. I can't wait to make these darling candy bar wrappers. I found the idea on Skip to My Lou website, be sure to check it out because she gives you the pattern for the bat and his wings open up. Too cute!! 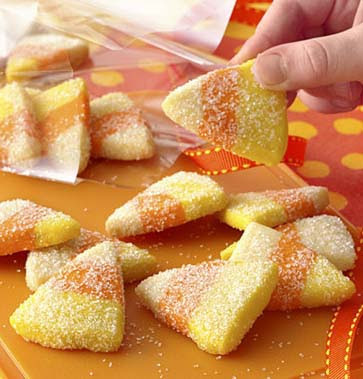 Still looking for creative ideas for all those Halloween Treats? I created this fun "candy cone" from Imaginisce's new Spooky Town papers. This was a fun read and one that you couldn't put down, so I breezed through it. I loved the main character and that she was not a whimpy girl relying on others to save her. But I also loved that it didn't come across like a "girly" book. I think my son or my husband would enjoy this book. When my friend first recommended it I was worried the story was a repeat of some bad movie I'd already seen, but it was not the case. I loved the story as a whole, but I'm thankful I don't live in that world. And my kid's and their friends are always asking me to recommend books and this is a great one for 12+ years old, but enjoyable enough for adults as well. Fabric Flowers of all kinds...I can't get enough then. And I don't want to buy them...I want to know how to make them. Then for days all I can think of is making them. I can't explain it...seriously I can't get the obsessive feelings to go away until I actually make them!! One thing I've noticed are YO-YO flowers are back in "style" and I've seen them in magazines, clothing stores and all over the web! 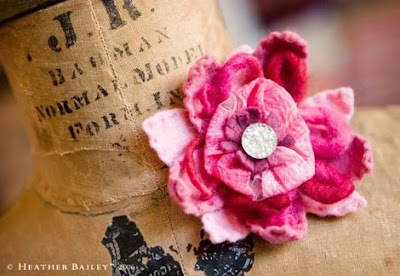 On Heather Bailey's blog she had this darling flower...I love the yoyo, mixed with the felt. Must try this out!! Here's a fun tutorial on Studio 5 that not only shows you how to make fun "rolled fabric flowers" but it also shows you the fun necklaces people are wearing made from fabric yo-yos!! This fun necklace was on Anthropology's website...can we say YO-YO? ?